Can You Tell Me Who She Is? Of sweet love and passion. In the beautiful rose gardens of the city. When it is time for the rains. Hidden in the picturesque gardens of Vrindavan. From a train hurtling through the forest. In heavy and boisterous seas. Of her immense power and ferocity. Men and women running helter-skelter. Spreading death and destruction everywhere. She can be an avenging lover. 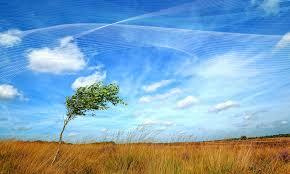 She is the omnipresent and omnipotent wind.